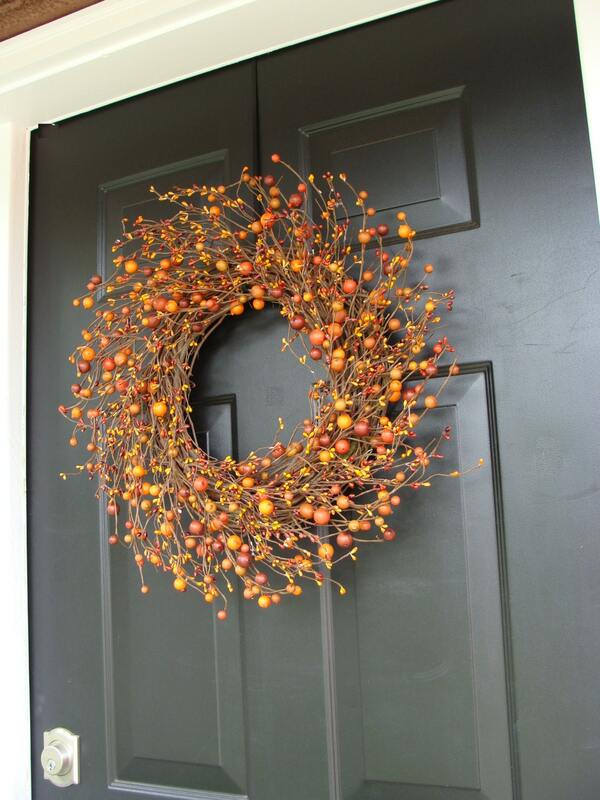 An XL wreath contains large and small artificial fall berries secured on a grapevine wreath. 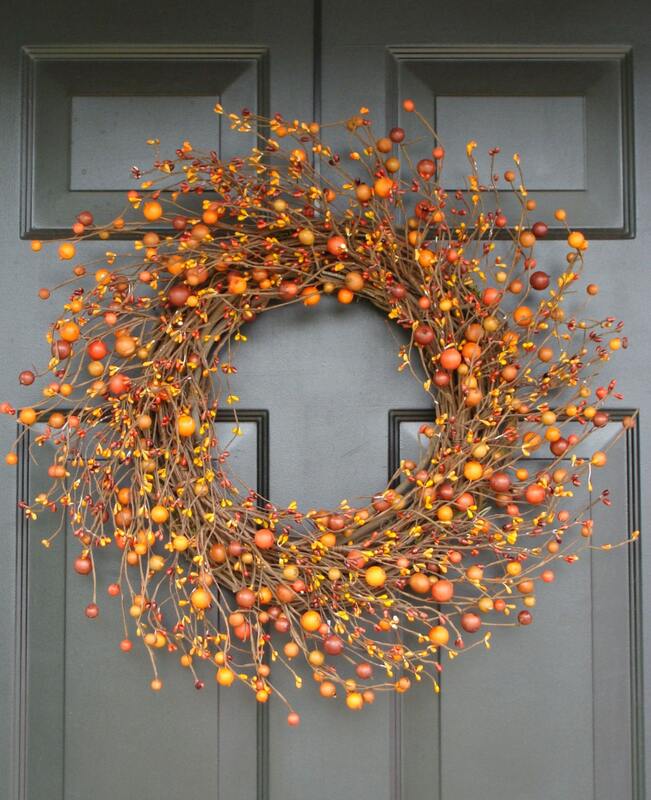 Bright fall colors of orange, red and yellow will make this berry wreath a great addition to your fall décor. 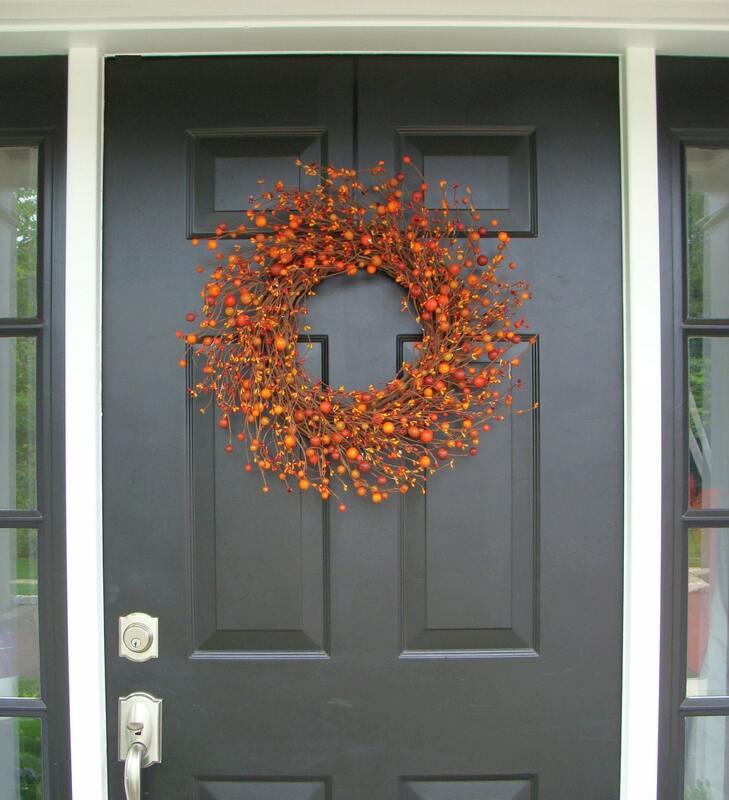 This Fall wreath shown measures 22 inches wide and 5 inches deep. 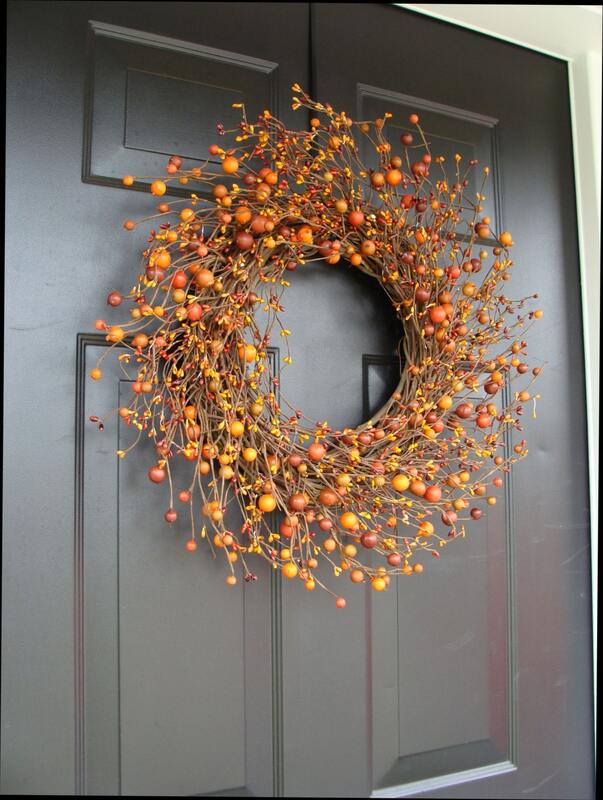 Keep wreath away from moisture. To help protect the wreath from rain and sun you may purchase a UV resistant protective coat with this wreath to help extend the life of your wreath. 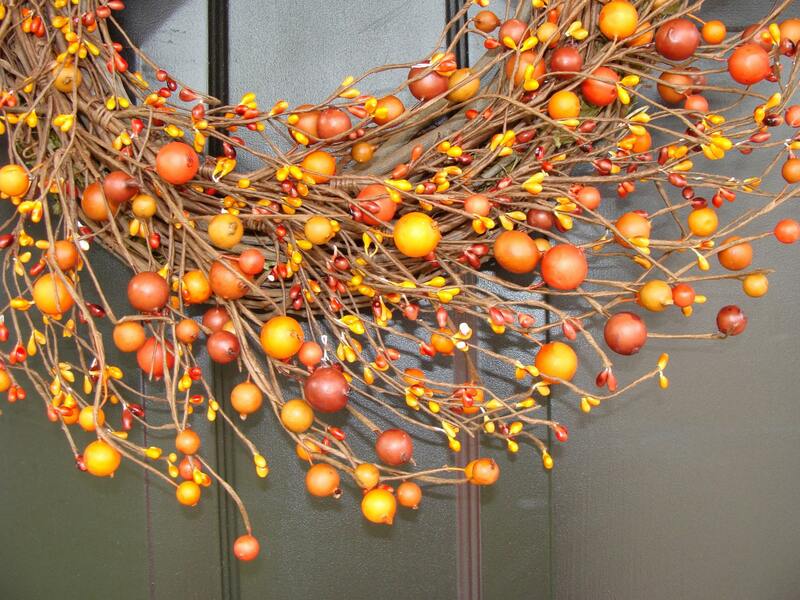 This wreath is Breathtaking to all who see it hanging over my Master Head board!! They want to know where did i purchase the Beautiful Wreath!! Thank you!!! We are moving in May so I'll be purchasing more! !